Systemic family treatment involves including the family in the recovery process. There is more understanding about how addiction often runs in a family, so including the family in the recovery process is an all-inclusive approach that involves healing the family unit. This type of systemic treatment can help someone in recovery attain long-lasting sobriety. Genetics can play a big part in whether someone struggles with substance abuse. A family intervention may be needed at the beginning of the systemic family treatment to convince the addict to attend a rehabilitation facility. The family may recognize the unhealthy familial patterns that have developed, and realize they need to enlist professional support to reach the addict. This is the first step towards repairing the family unit and setting the addict on the path towards recovery. The intervention generally involves the addict meeting the family at an arranged location, without knowing that an intervention is going to be staged. Then the family and close friends will state their case as to why the addict needs to attend an intervention. In some cases the family members may also state their intentions to enter counseling with the addict, acknowledging how a negative family dynamic may have contributed to the onset of chronic addiction. When a family unit first has to deal with a member being an addict, the natural first reaction is panic and anxiety. Even if the other family members have never had firsthand problems with addiction, they are often greatly impacted by the addiction, as they struggle to save a loved one. They sometimes become so personally immersed in the day-to-day drama of an addict, they can lose themselves and their relationship to the addict. Oftentimes, unhealthy interactions and patterns are established within the family unit, that everyone feels powerless to break. The addict will start hiding the substance abuse from the family, while the family members can become unhealthily obsessed with what the addict will do next. In situations like these, both the family and the addict need counseling to improve their interactions. And this is when systemic treatment becomes so useful. Many cutting edge addiction treatment facilities now employ the systemic family model. Studies have shown that addicts who undergo this treatment, are more likely to have the tools to achieve a long-term recovery. The importance of having a strong familial support system can’t be underestimated in anyone’s life. 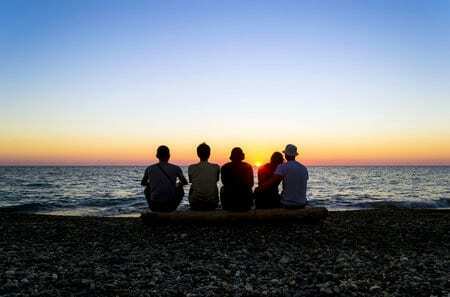 The core support system most people have unconditionally is their family, and having healthy relationships with them is crucial for an addict to have long-term recovery. The family members also need to learn how they can best communicate with the addict in a healthy and supportive way. Ideally, the counseling sessions that include everyone will result in meeting the needs of everyone, both the recovering addict and the family. The goals of the patient should be discussed and then put into the wider context of how the family can work together to make sure that those goals happen. Other family members may even discover that they have issues they need to address, and may seek to attend counseling sessions even without the primary patient present. The end goal is that positive change brought to the family will work concurrently with the patient learning the tools to maintain long-term recovery from the addiction. If the addict is able to successfully complete an inpatient rehab program and receive systemic treatment with family cooperation, the chances are greater for success.